The roots of Arzum goes back to Güney Ithalat Kollektif Şirketi, which was founded by three brothers in 1953 as an importer of a wide range of domestic products such as small kitchen appliances. 1966 marked one of the proudest moments in the company’s history when the “Arzum” brand was registered and the production started under own name. Following several years of intensive search in the Far East, Arzum started to get products from Hong Kong in 1996. Since then, Arzum has always performed above the industry average and established its name as an innovative company in Turkey’s small domestic appliances market. Today, Arzum has 150 different models in 8 product categories; food preparation, cooking and frying, beverage preparation, cleaning, personal care, irons, baby products and accessories. Arzum’s sister brand, Felix was born in 1998 and entered the market with a wide product range. In 2008 Arzum established partnership with Ashmore Private Equity, an internationally prominent company in portfolio management and subsequently in 2009 Arzum Asia Pacific – mainly settled for sourcing - was founded. 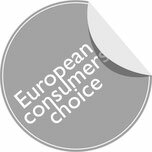 At the beginning of 2011 the establishment of Arzum Germany is scheduled which will help to increase Arzum’s market share in central Europe. In more than 10 million households worldwide Arzum branded products are being used today. Arzum Design has been striving for manufacturing the best possible technology and products for the consumers for 44 years. The expertise and know-how gained in almost 50 years are mobilized for the design of products to ease the lives of men and women from all around the world. Today, Arzum products can be found in millions of homes from Germany to Kyrgyzstan and from Sweden to Jordan. 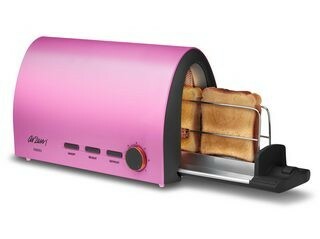 Let's start your day stylish and delicious with Arzum Firrin Toaster! 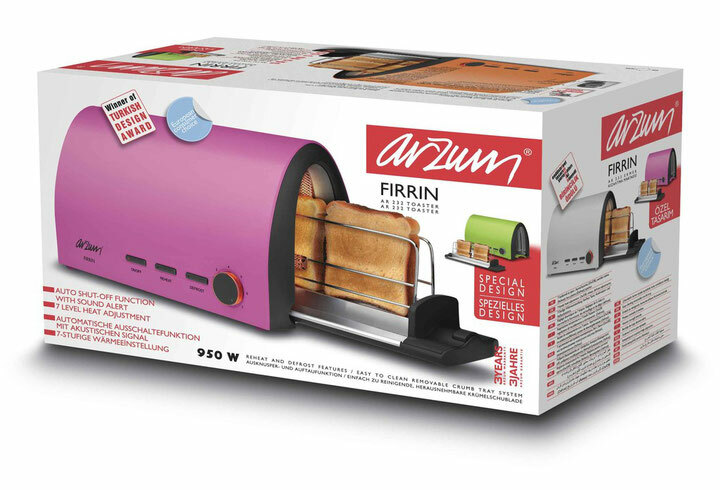 Arzum Firrin is a toaster, but not the one you are acquainted with. 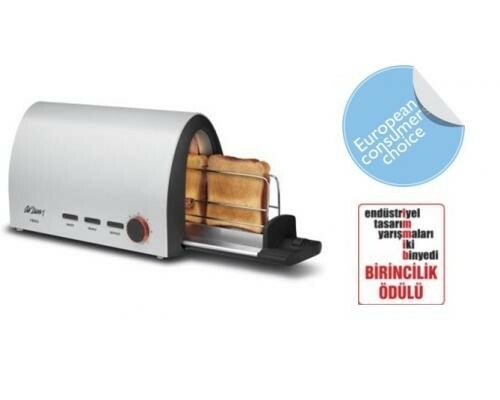 Thanks to Arzum Firrin, which has been revitalized in the hand of our designer Atil Kizilbayir, old problems of bread slices stuck in toasters of virtually unremoveable bread crumbs are now a thing of the past. 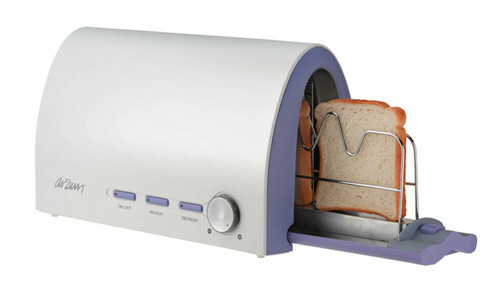 The innovative side opening “drawer” makes toasting even easier and trouble free. 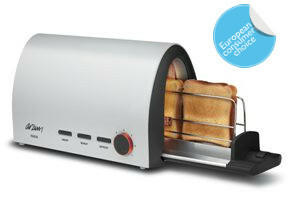 Like in a brick oven, the bread slices disappear in the toaster on an adjustable tray for bread slices, croissants, toasts….Then it is possible to serve the toasts like on a plate with the removable crumble tray. 7 different temperature settings create a delicious breakfast toast and for an extra crispy one you can use the reheat button. The automatic shut-off function of Arzum Firrin ensures a secure usage. Suitable for every kitchen the Arzum Firrin Toaster is available in different color combinations.